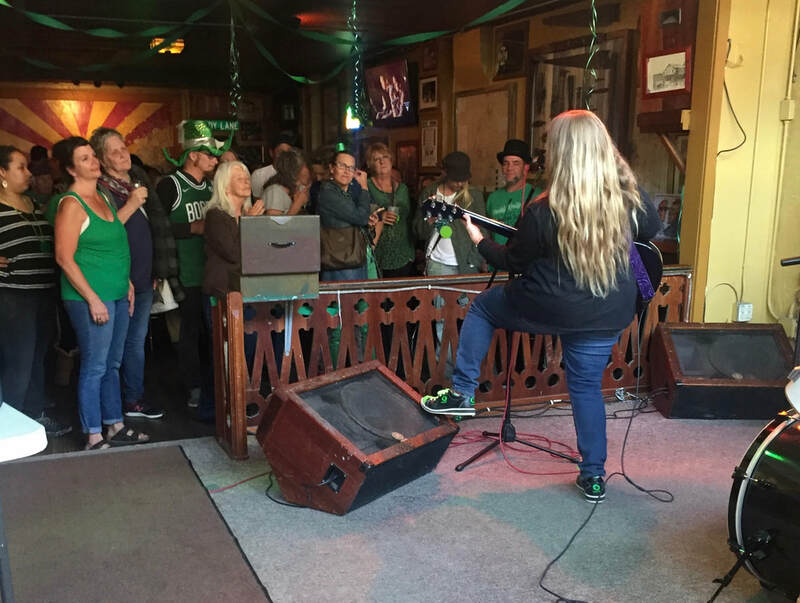 Melissa Reaves, a powerful singer and master of improvisation on blues and rock, jams at St. Elmo on St. Patrick's Day in Bisbee. 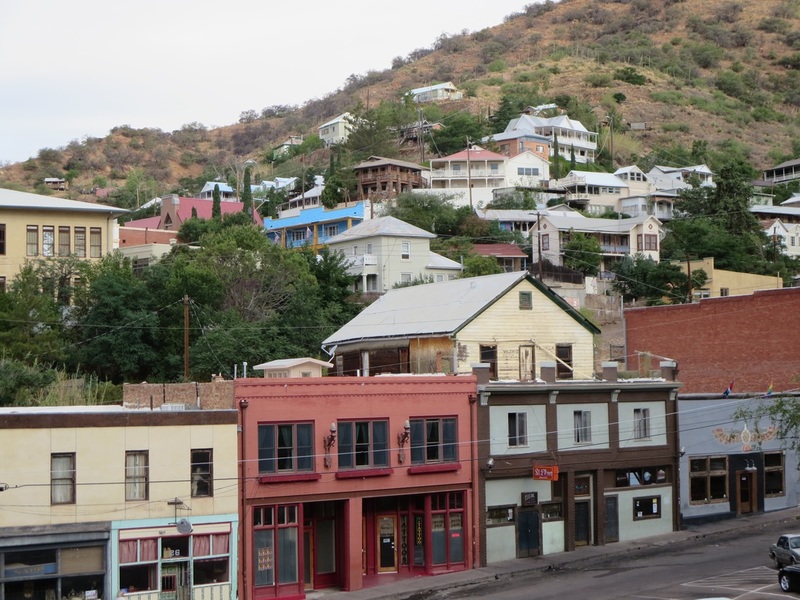 It is easy to imagine that Bisbee -- with its narrow, crooked streets, alleys and steep flights of stairs -- resembled turn-of-the-century San Francisco before the 1906 earthquake leveled it. Bisbee has endured without any major natural disasters of that magnitude. 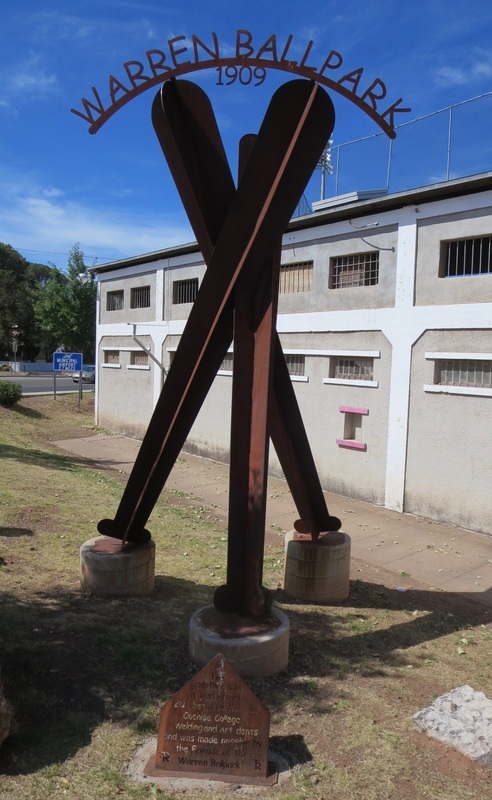 But the town's blessing and it's burden has been the rich mineral wealth -- $6.1 billion dollars worth -- beneath the town. Those natural resources created jobs for miners and fabulous wealth for mine owners. But there's also scars from deep-pit copper mines right up to Bisbee's doorstep and 250 miles of tunnels beneath the town. ​The mines have been closed more than 40 years. But the colorful town, with its quirky layout of rustic homes piled on the hillsides, is still here as a great treasure of Arizona. It's a getaway town for urban Arizonans, most of the them from Tucson and Phoenix. 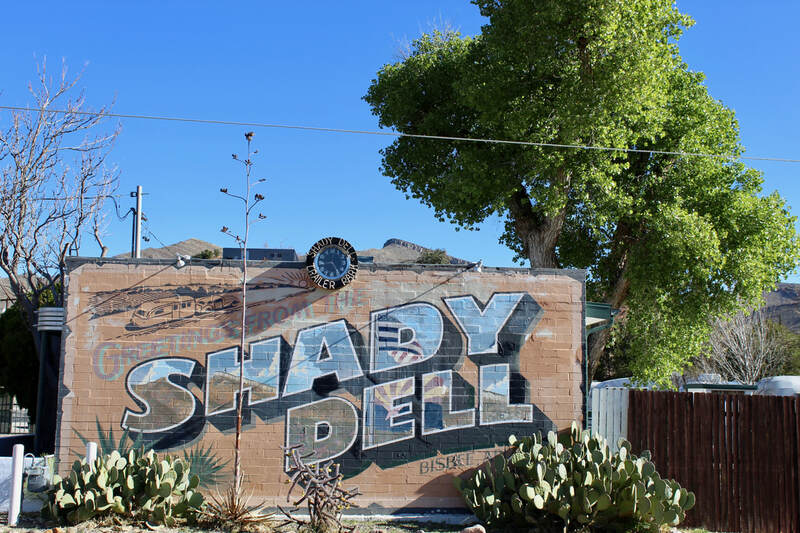 Bisbee is the perfect place to unwind, to sit out on a hotel deck, linger at a coffee shop and browse in the galleries, shops and bookstores. ​Start your day walking the empty streets at dawn. There are countless alleys and stairways that lead to fascinating art walls, sculptures and quirky homes clinging to hillsides. ​Warm up with some coffee at the Bisbee Coffee Co. or get a full breakfast at the Bisbee Breakfast Club in nearby Lowell on Erie Street, frozen in time in the 1950s. Take yourself out to the Warren Ballpark. Built in 1909, it is one America's oldest ballparks. Games are at 1 p.m. Sundays during the summer season. ​It's a good idea to reserve a table for an evening at Cafe Roka, an affordable fine-dining restaurant that's cozy and vibrant. Chef Rod Kass and Sally Holcomb opened this gem in 1992 and it's become an immensely popular spot for weekend dining. The Bisbee Herald-Review once again in 2018 named it the town's best place to dine, get a cocktail and for its wine cellar. End the evening in Bisbee with some music at St. Elmo or the Stock Exchange Saloon, which operated as a brokerage until 1961 with a big board of stock prices that still decorates one wall. St. Elmo, a lovable dive that opened in 1902, is one of Arizona's oldest saloons. Check out the Courtyard across the street and a few doors up Brewery Gulch from the Stock Exchange. It's an outdoor, courtyard venue with occasional live music shows. For a novelty, stop in at the Silver King Hotel across from St. Elmo. The Silver King boasts that it has Arizona's smallest bar, with four stools and one friendly bartender. If you're looking for good craft beer, the Old Bisbee Brewing Co. can hook you up. It's behind the Stock Exchange. 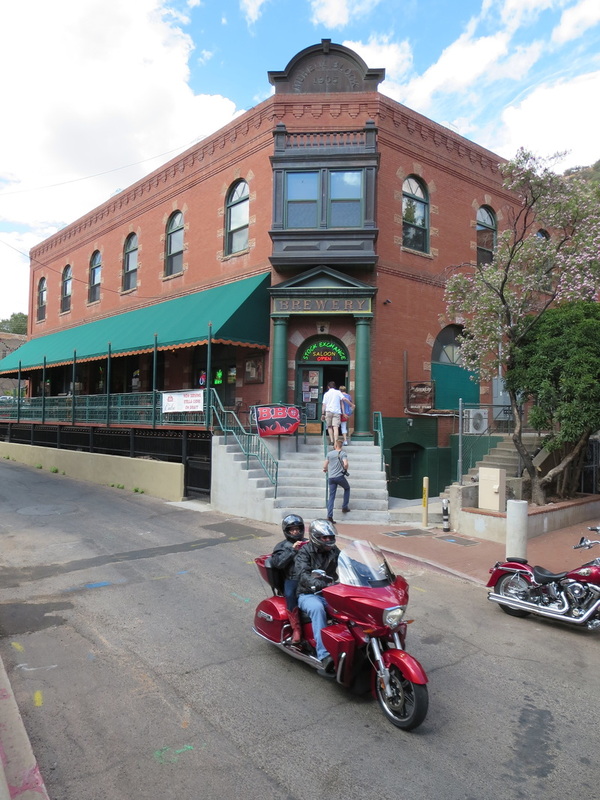 The brewery and bars are in Bisbee's infamous Brewery Gulch. It was one of the rowdiest places in the West around 1900 with dozens of saloons casinos and brothels or cribs as they were known. It even had a wrestling bear at the Brewery Saloon in 1897, according to Arizona Capitol Times. Warren Ballpark in nearby Warren is one of America's oldest ballparks. 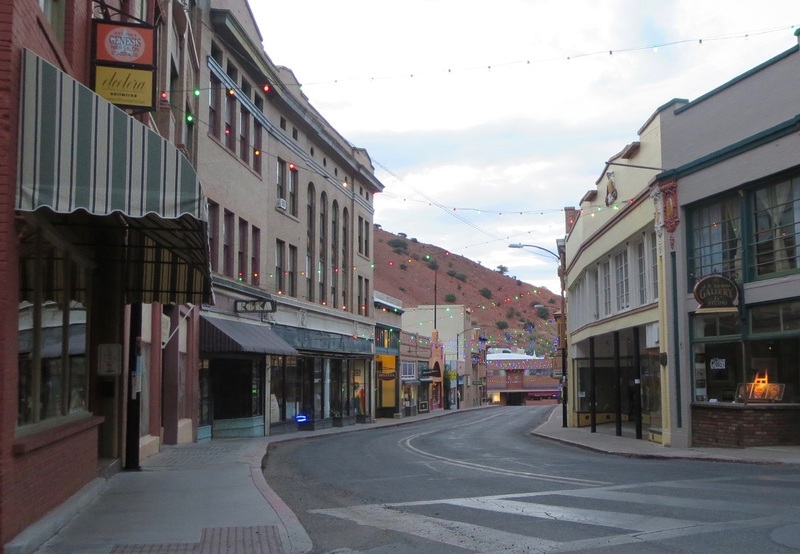 ​Bisbee has a wide range of lodging options, including B&Bs, vacation rentals and hotels. The 1902 Copper Queen is Bisbee's best known historic and haunted hotel. Check out Bisbee Grand Hotel, San Ramon, Canyon Rose Suites, Eldorado Suites, Letson Lofts, Inn at Castle Rock and Tombstone Canyon Inn. In nearby Lowell, is Shady Dell, which hosts guests in vintage travel trailers at 1 Old Douglas Road. Each trailer has a patio, there's a gazebo and a restored Valentine diner. The Bisbee Mining & Historical Museum is worth a visit and visitors wanting a deeper (pun intended) understanding of mining can go underground with the Queen Mine Tour. It's cool down there and wet. Bisbee is small enough that visitors can park their car all weekend and walk to most everything in town. The Bisbee Breakfast Club in Lowell and the Warren Ballpark in nearby in Warren are within a few miles of Bisbee. Best to drive there. ​There is no Uber in Bisbee but there is ride service from someone known as Too Tall. Ask your bartender for his number. Homes are stacked up on the hillside above St. Elmo and other bars and businesses in Brewery Gulch. 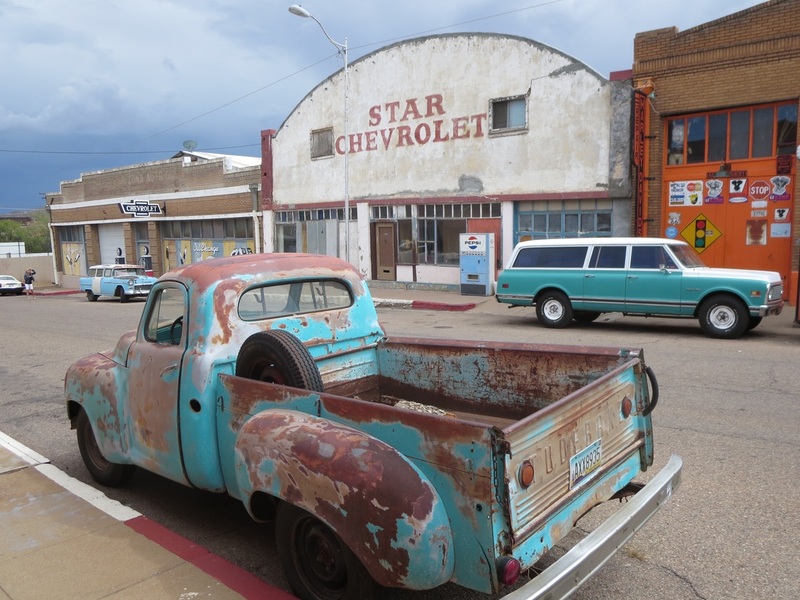 St. Elmo is own of Arizona's oldest saloons. Shadows spill across the balcony at the Eldorado Suites on OK Street. Stock Exchange Saloon is a fixture in Brewery Gulch. It originally was an stock brokerage. Pythian Castle was built in 1904 for the Knights of Pythias fraternal group. A couple on a motorcycle ride into Bisbee, with its colorful hills, along State Route 80 near the Lowell district. 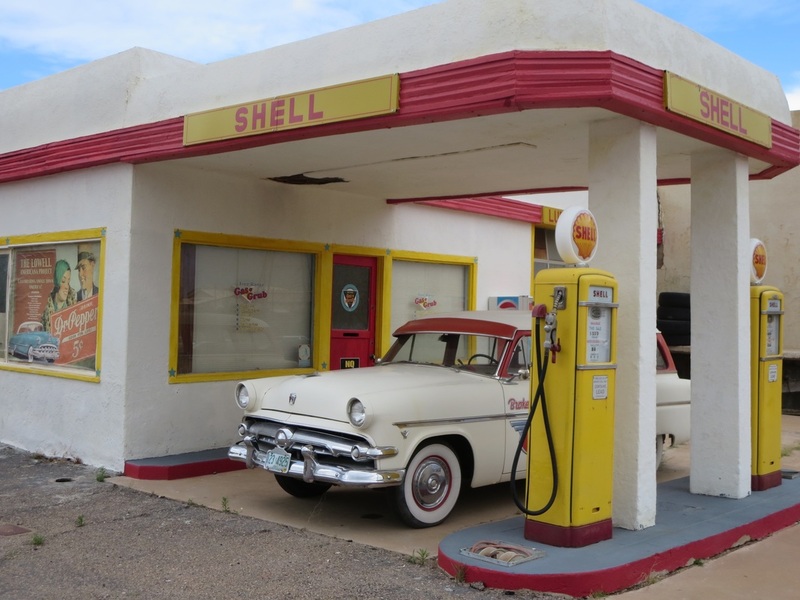 Lowell has the poplar Bisbee Breakfast Club and this non-working Shell filling station with a 1955 Ford Country Squire station wagon. 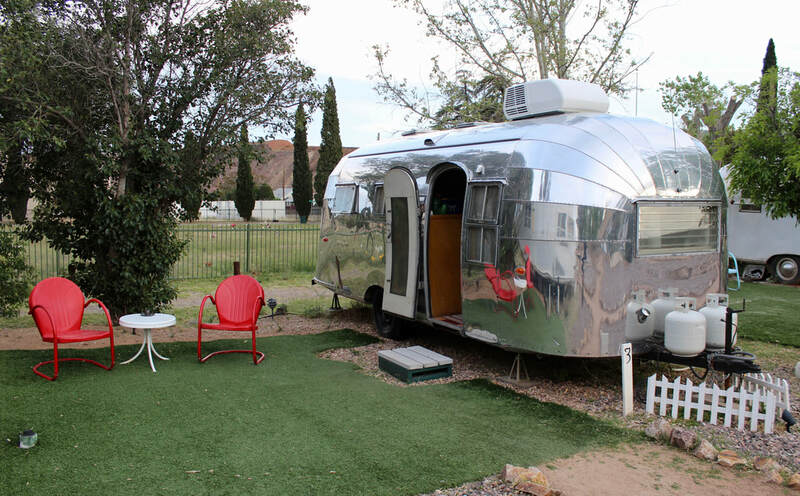 Shady Dell on the Old Douglas Road host overnight guests in restored, vintage trailers. There's also a gazebo, a shower house and outdoor movie screen. 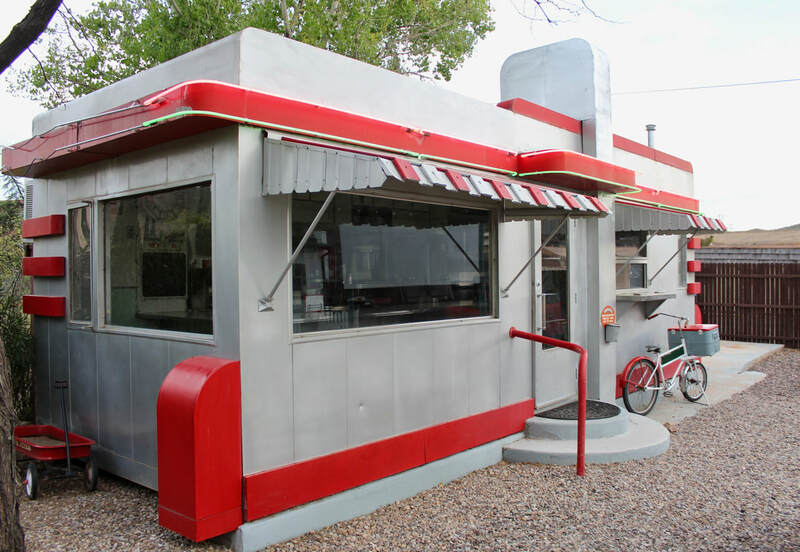 Shady Dell features a vintage Valentine diner (left) and a 1955 Airstream. 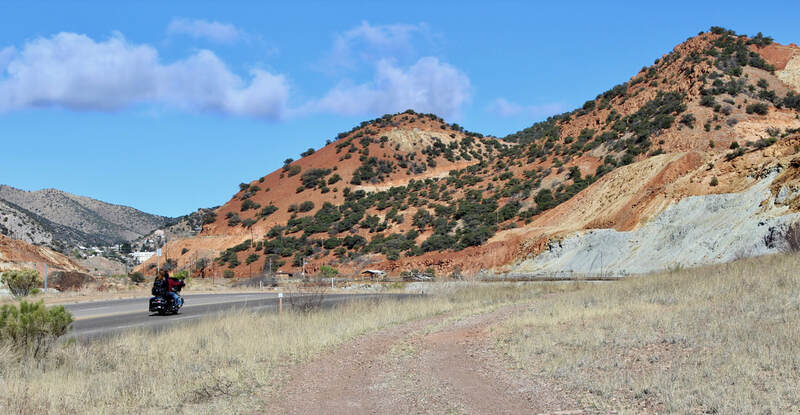 Tombstone Canyon Road is the spine of old Bisbee, winding from the top of the town at U.S. 80 down past shops and hotels to Brewery Gulch.